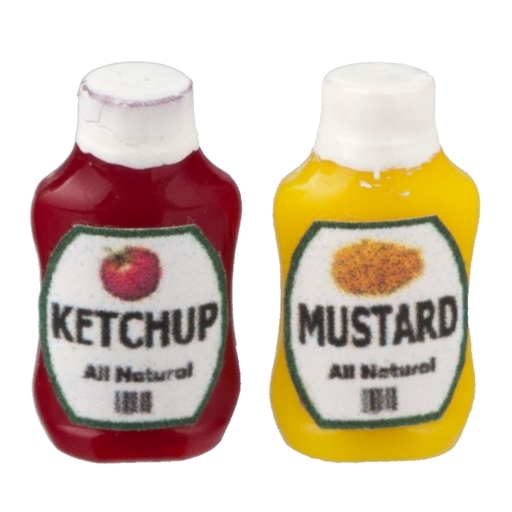 Ketchup and Mustard "Squeeze Bottles"
These mini condiments come in non-opening plastic bottles with realistic labels and make perfect dollhouse kitchen accessories. Great little pair of condiments. I think they look better in person.